This Ethic is set in place to protect the home buyer/seller. Otherwise, a home inspector could call out problems within the home just to create more work for themselves and additional pad their pocket. You can view all the Ethics at the Washington State Legislature Website. AMS Inspection Services is a home inspection company based out of Leavenworth, WA, with inspectors in Seattle, Wenatchee and throughout Chelan and Douglas counties. AMS Inspection performs blower door tests for on new construction projects. IN A CLASSY CHASSIS SORT OF WAY! On Friday, May 4th, join Carol Kavanaugh and her supporters as they walk in the Classy Chassis Parade! This will be a FUN and interactive way to show your support and say hi to all your friends along the way! NOT A DOUGLAS COUNTY RESIDENT? If you do business in or have friends or family that live in Douglas county, you need to support Carol Kavanaugh! We need good, strong, healthy leaders that are there to support the ideas and concerns of the people. Her goal is to create a “County of Opportunity” and address “excessive and unnecessary regulation”. Parade starts at 6:30 but they’ll be there an hour early! Meet at the merry-go-round at the Eastmont Park at 5:30 to get T-shirts and cars are available at the end of the parade route to shuttle people back to their cars at the park . Carol has lived in the Wenatchee Valley for over 35 years and is presently with John L. Scott in Wenatchee and has been a real estate professional for 9 years. Wow, if only these wall could talk! Our home inspector took a photo of this door frame. Check out the frass left behind by the wood destroying organisms. Fortunately, Aaron is also a licensed WSDA pest inspector. 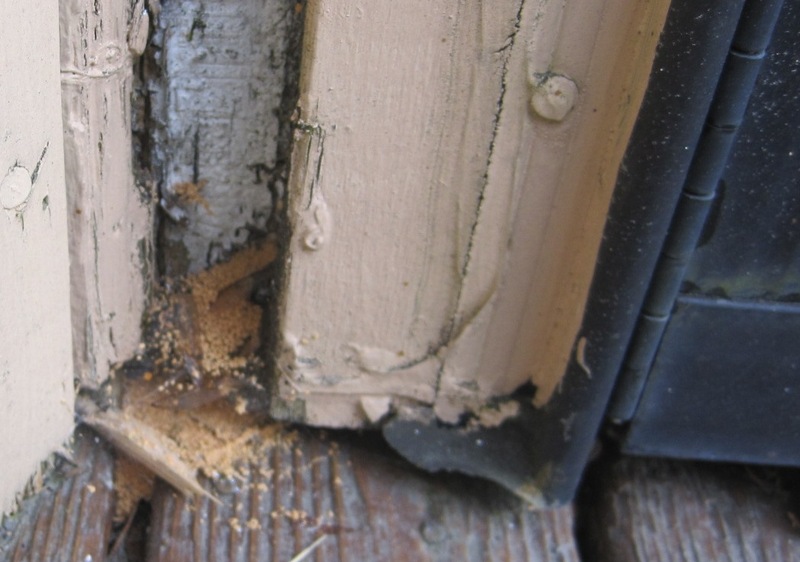 AMS Inspection is a home inspection company based out of Leavenworth with inspectors in Seattle, Wenatchee, Methow Valley, Chelan and surrounding areas. Check out water mark on the door. This home was flooded a couple of years prior to our inspection. The owners replaced the drywall and other components but the evidence remains. 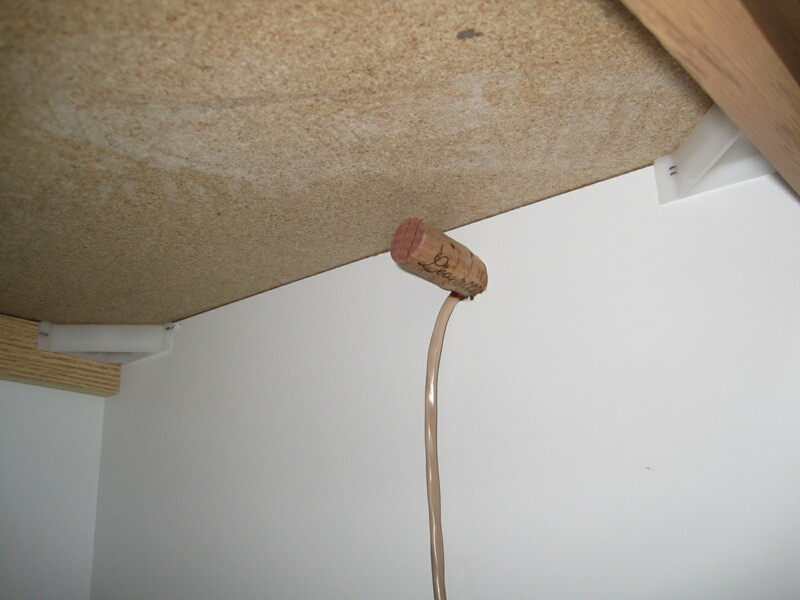 Leavenworth Home Inspection Photo: Stick a cork in it! I never know what I’m going to come across. Check out this photo from a recent Leavenworth home inspection. It’s an interesting way to fill a hole. Now you know what to do with all those corks you get from wine tasting in Leavenworth! Here is an opportunity to learn from someone else’s mistake. Check out the photo below taken at a recent Chelan home inspection. 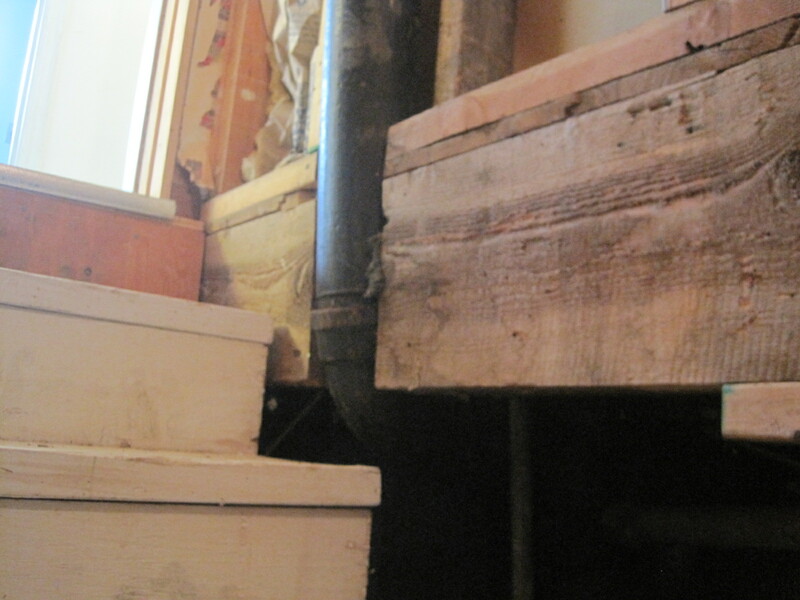 You should never cut a main support beam so that plumbing pipes have an easier route. Pipes have curved elbows and connections for a reason! Don’t compromise the overall integrity of your structure. Use proper plumbing installation practices.